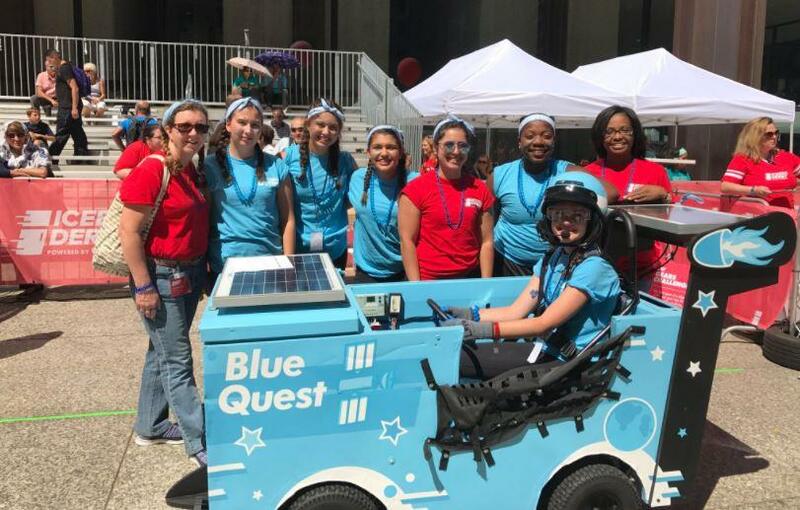 Teams of girls will race solar-powered go-karts converted from recycled refrigerators this Saturday in Chicago. They got help from students at Northern Illinois University. NIU engineering students worked with the girls participating in the ComEd Icebox Derby. NIU students had been working on designs since last September. NIU assistant professor John Shelton is the NIU team's adviser. He said the students this summer are members of the Society of Women Engineers. ComEd wanted them to engage with the young girls, "to put a face on a female engineer at a university level," Shelton said. Shelton said this has given the students hands-on experience in their field. "The things that they are putting into practice," he said, "are things that they have seen in their electrical engineering courses, or even going back down to their freshman classes." The event aims to encourage girls to consider pursuing a career in STEM fields – science, technology, engineering and math – where women are still a minority.